In the blogging platform, this one is also a great challenge to choose such a good domain name for blogging niche because here we have to focus good domain which describe your complete blog in just a single word which help you to increase your SEO score. Before we discussed how you can start blogging from free blogging platform also you can make some awesome money from that but its always better to have your own custom domain where you can to manage, edit or modify each and everything as per your own requirements. 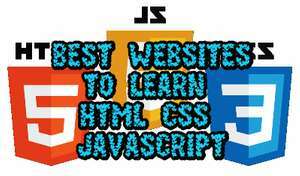 The main purpose of sharing this article is, I have seen there is such bogus hosting servers and faceless domain names over the blogging niches. Take a look below to the best tips for how to choose new domain name. What you have to focus for new domain name lets start discussion for choosing domain name for you new niche for Blogging. First of all you need to search best domain hosting server for your new blogging niche because there is also some cheep and bogus domain providers where always your blog or website may be down or busy. I have also mentioned it in first paragraph that search and take name which describe your blog so check such meaningful keywords for your blogging niche. Your domain name length must be not too lengthy to difficult to remember for your visitors. Choose two or three easy keywords for related to your blogging ideas. If you want to be good in SEO score, avoid using special characters and numbers in your blogging niche domain name. If you are purchasing any second hand domain you must check and ensure that domain is not banned by Google. Same as above this one is also applicable in second hand domains. Before purchasing you must have to check alexa ranking and Google Page Rank and its good to purchase Good PR and Best alexa ranking domain. 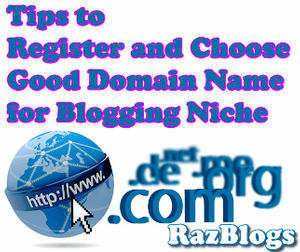 All the above tips are highly recommended before purchasing or registering new domain for your Blogging niche. Just one line I will mention here again that don’t go for cheap ever always find quality otherwise you will have to pay more than best quality domain registrars. Best of Luck.